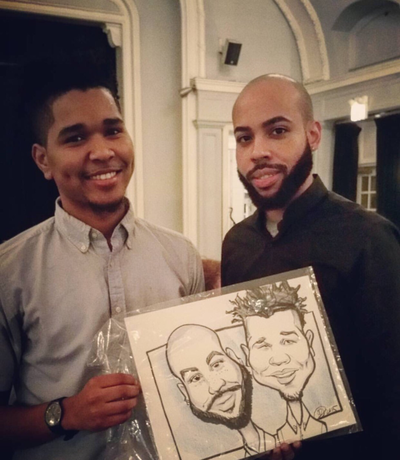 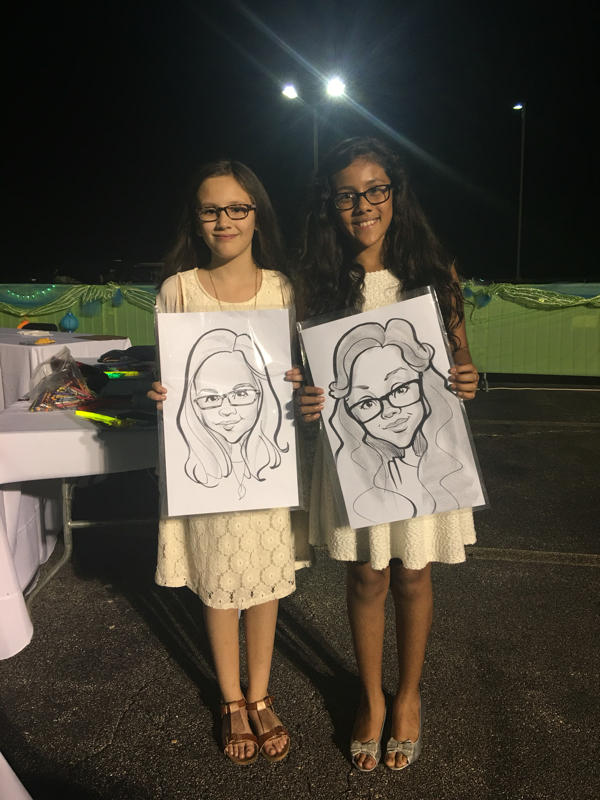 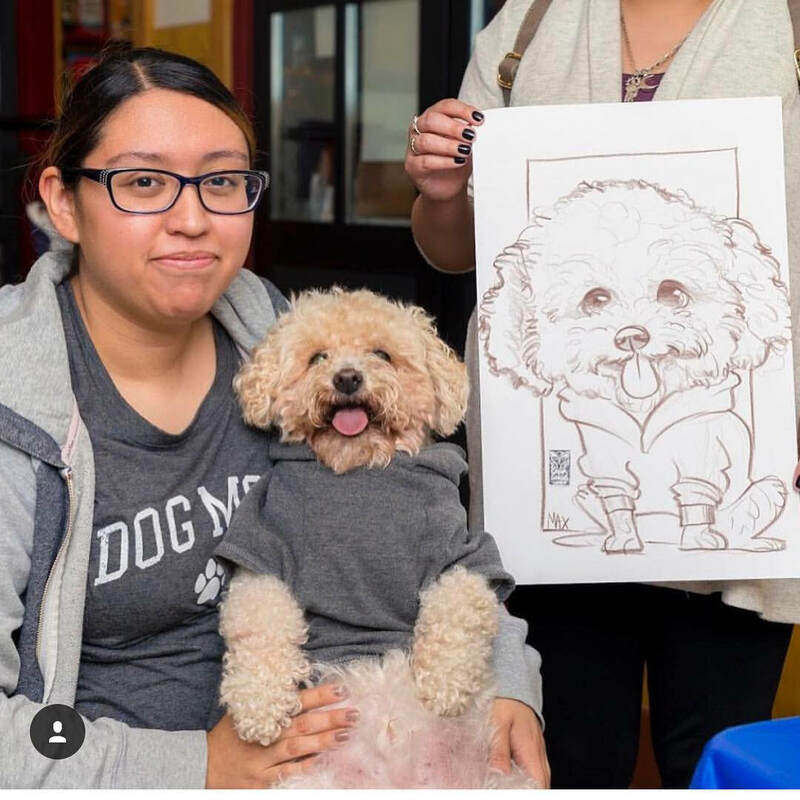 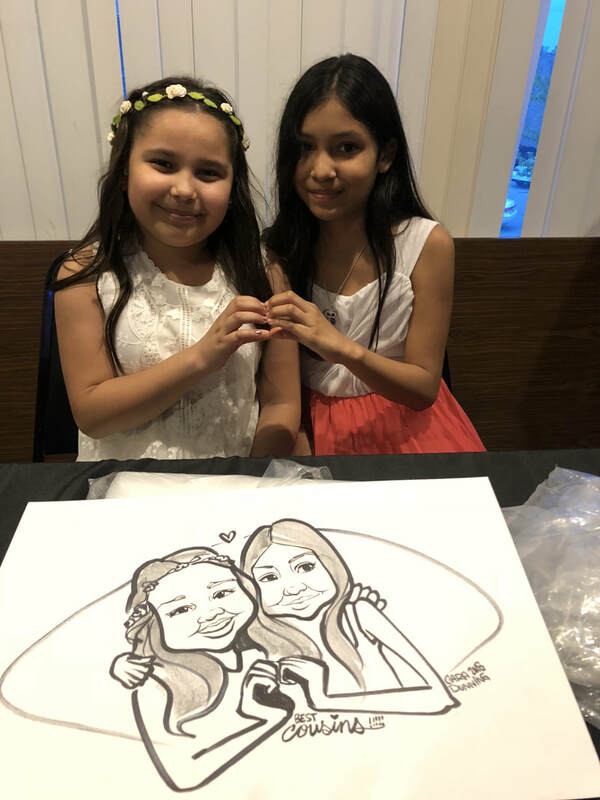 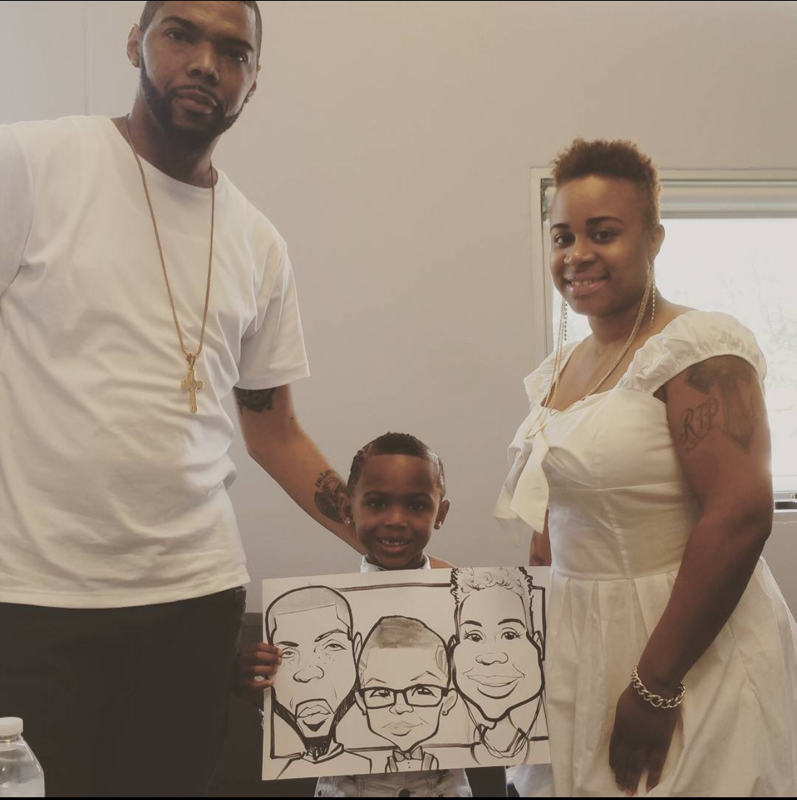 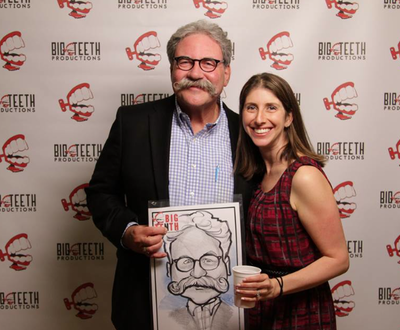 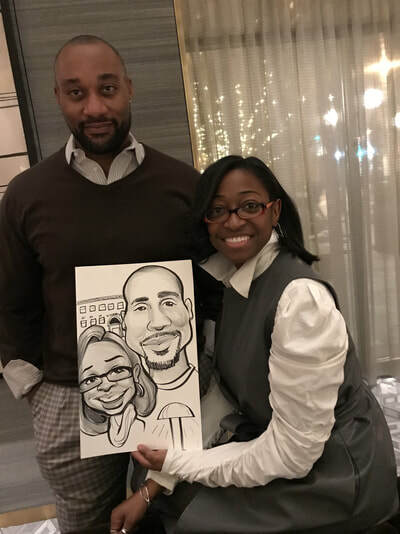 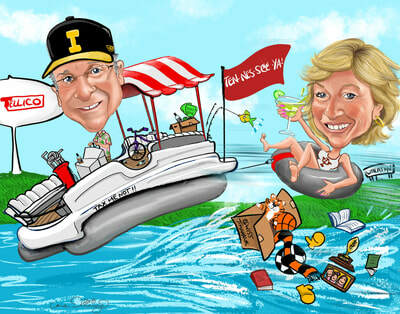 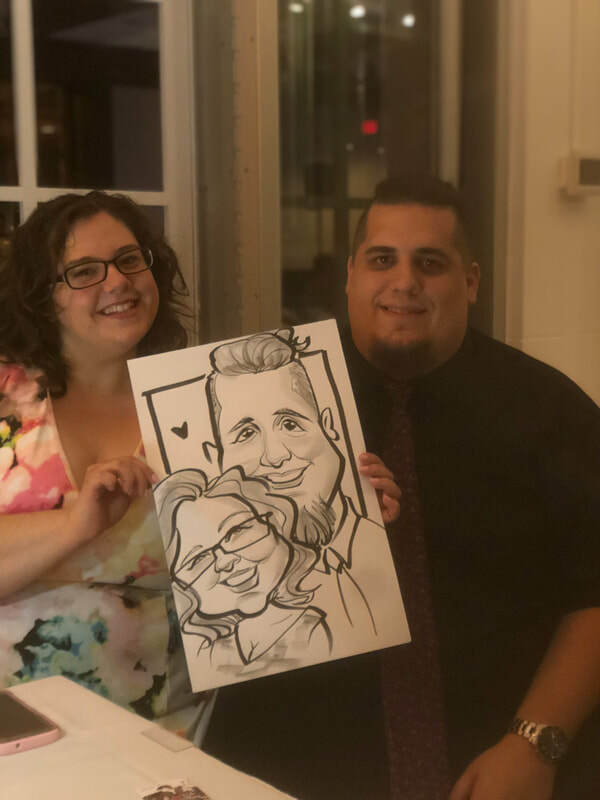 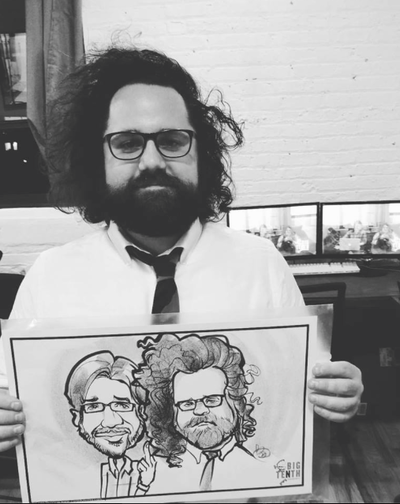 I specialize in doing Live Caricatures for parties and events, as well as Custom Caricatures. 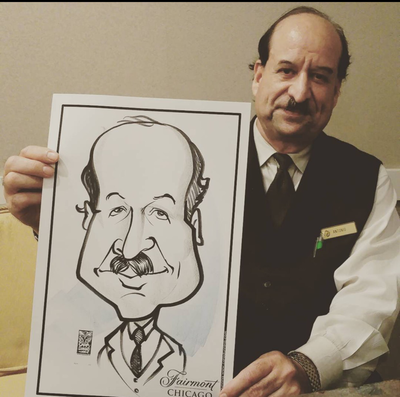 I was a Caricature artist at Walt Disney for 13 years. 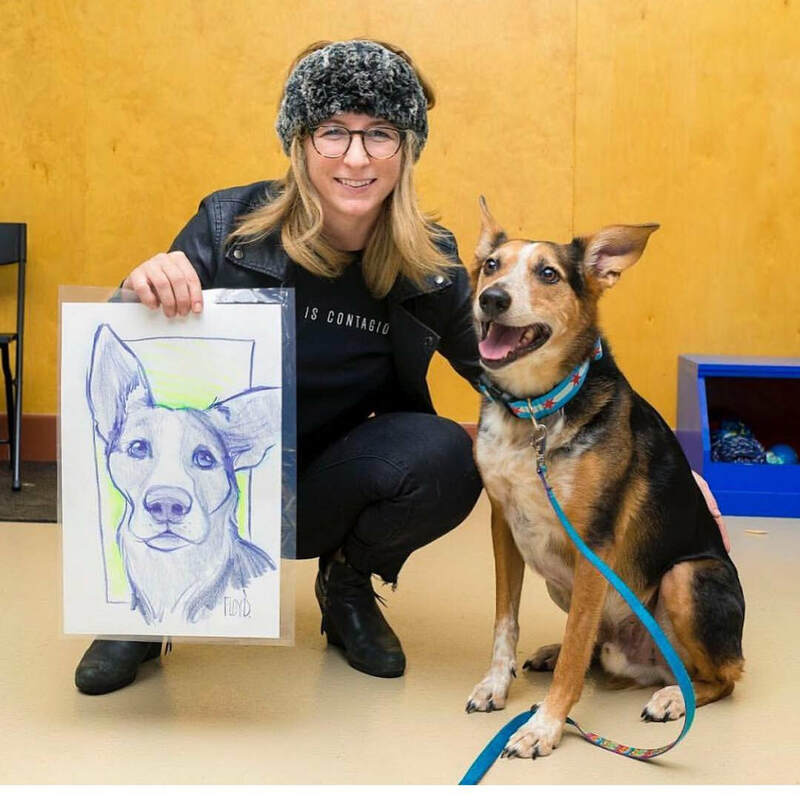 I pride myself on my speed, ability to capture likeness, and providing an unforgettable experience for guests, giving them a keepsake they will value and cherish. 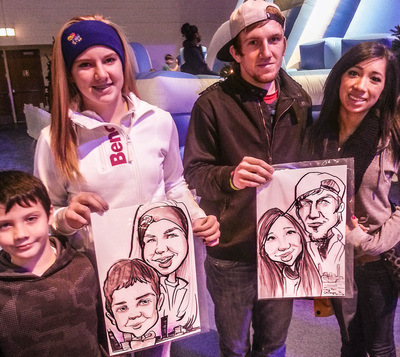 My humor is family friendly and I never exaggerate peoples features too much. 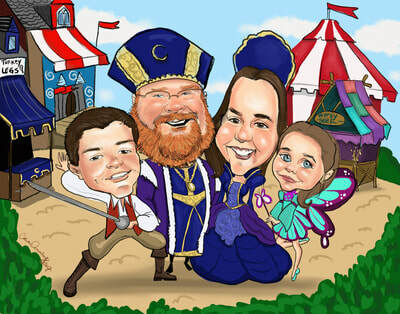 I believe in Magic! 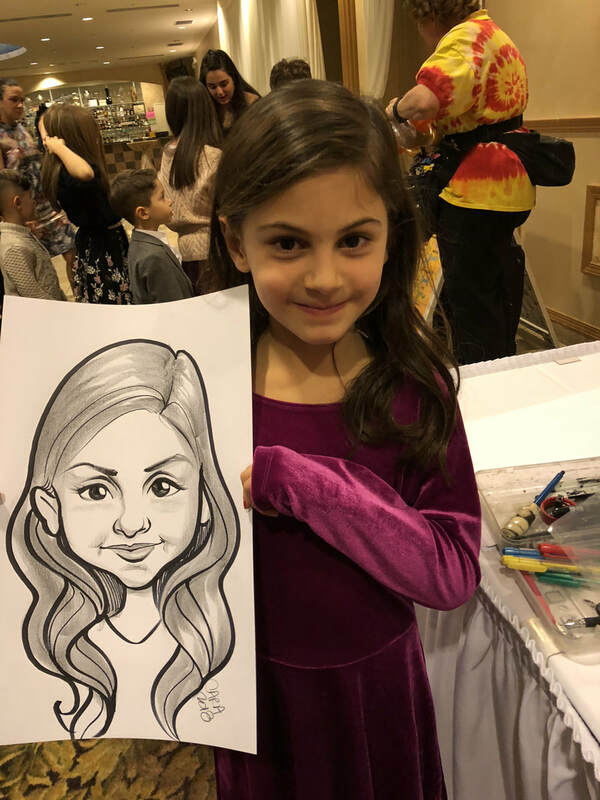 When I sit down to draw and capture a child's crooked smile, or write the words "will you marry me" on the paper for someone who is proposing, there is magic in those moments, a palpable electricity. 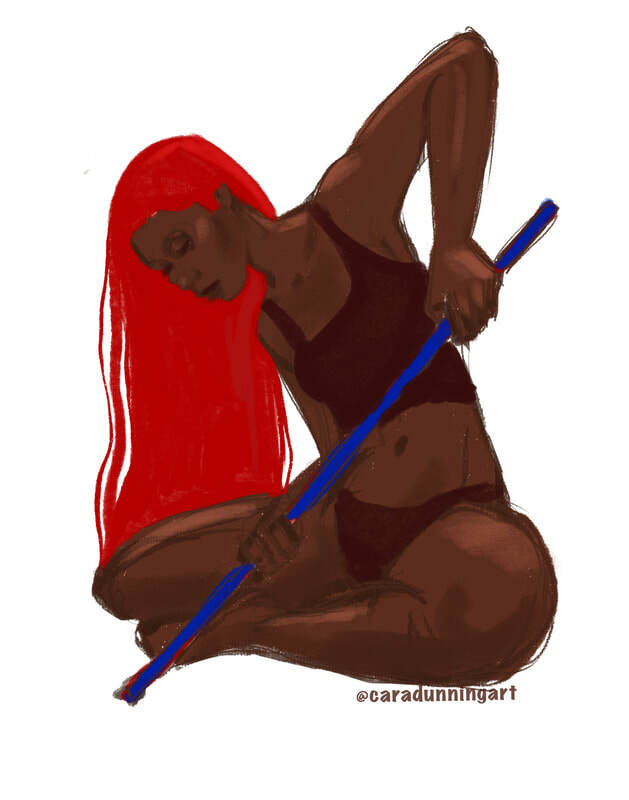 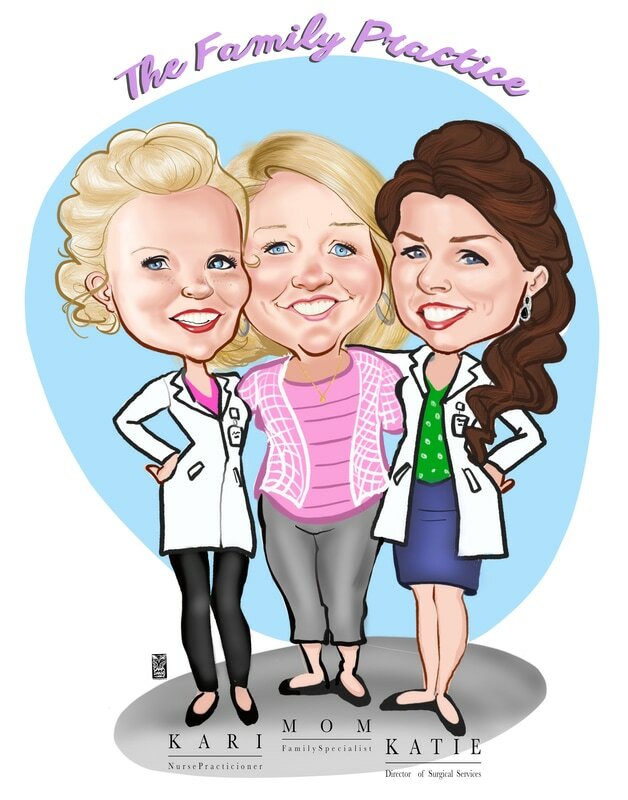 I absolutely love what I do. 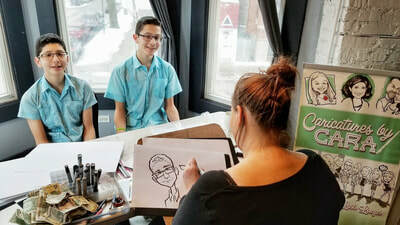 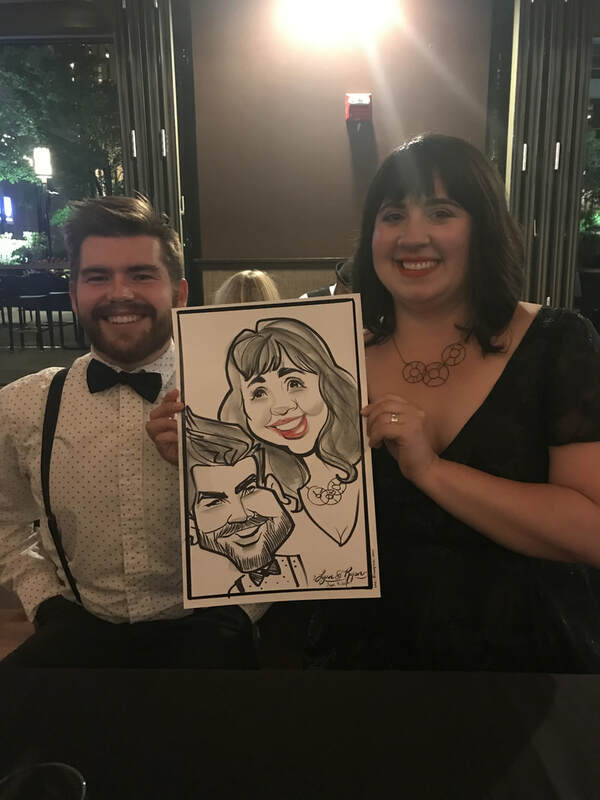 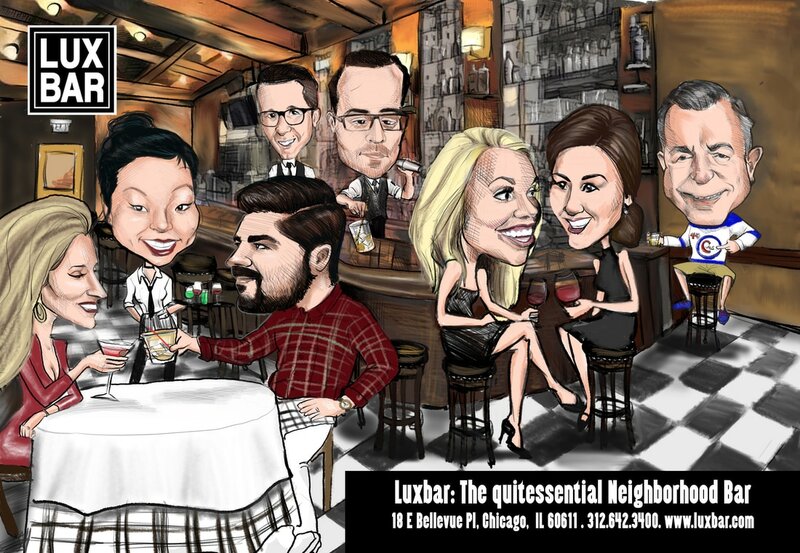 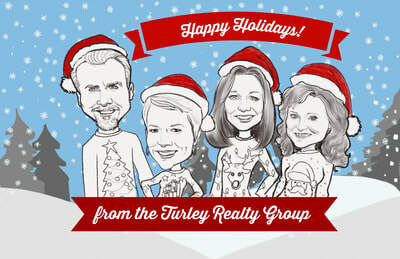 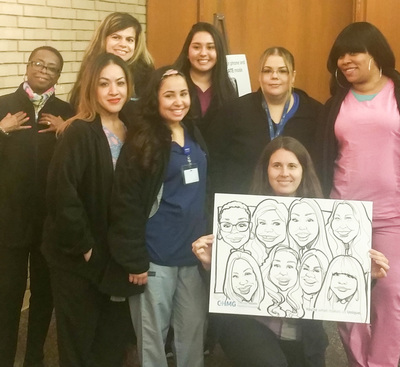 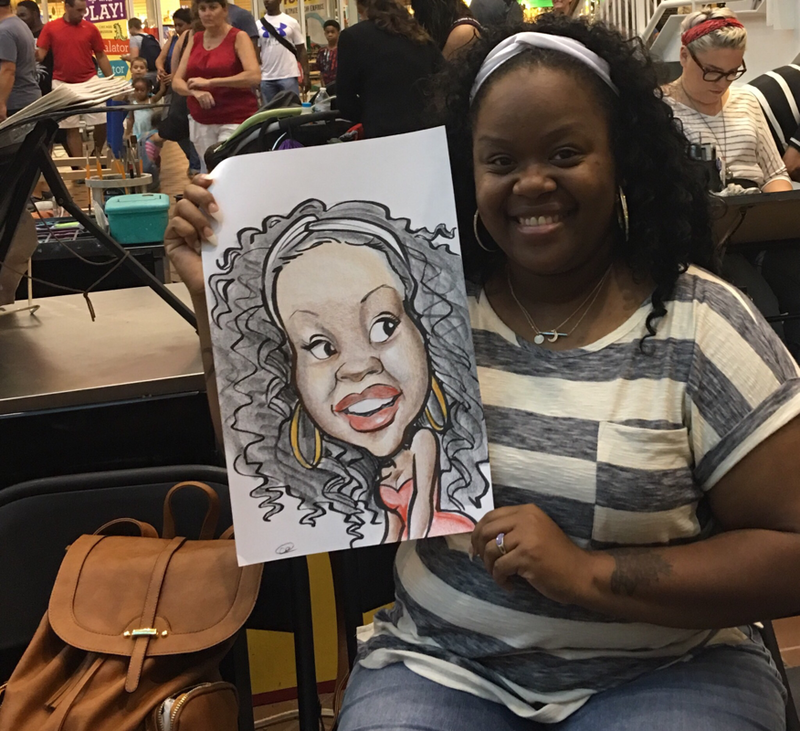 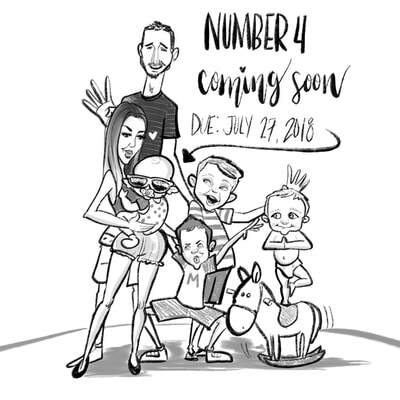 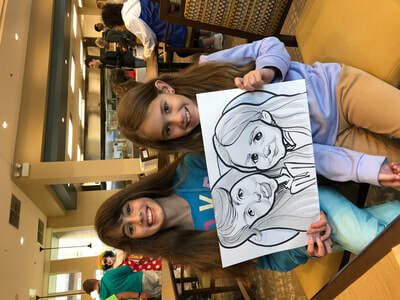 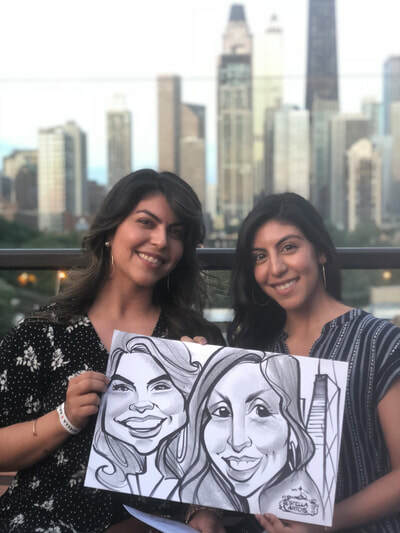 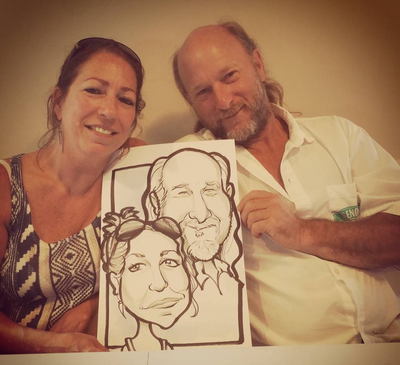 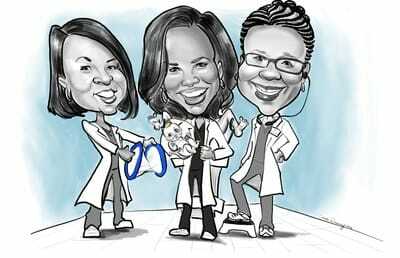 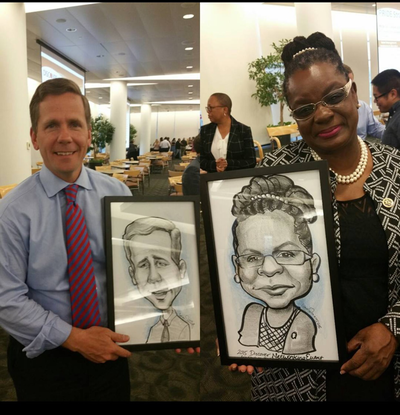 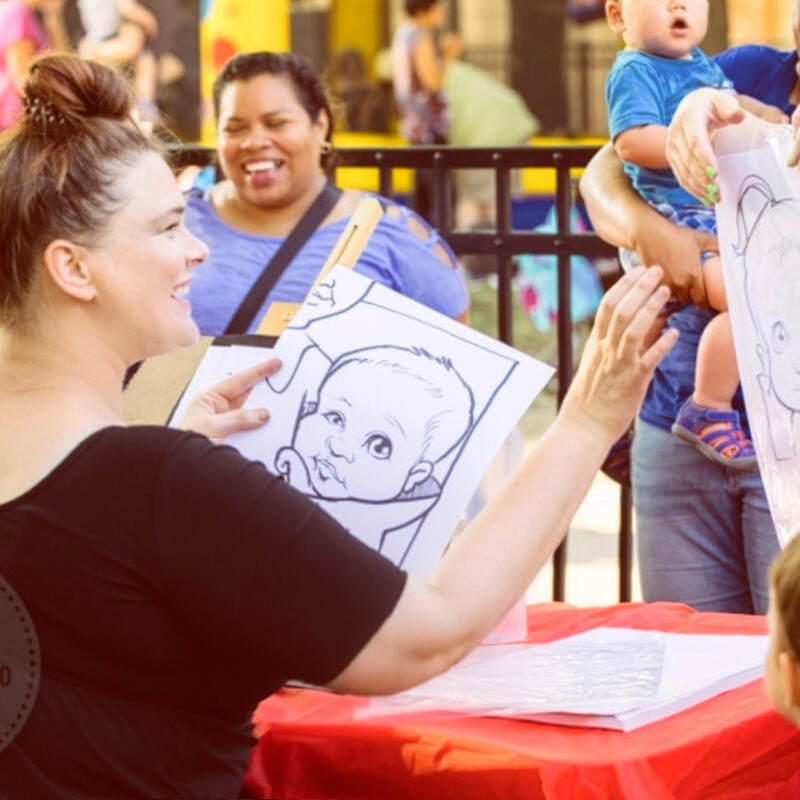 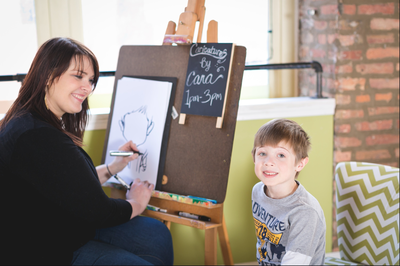 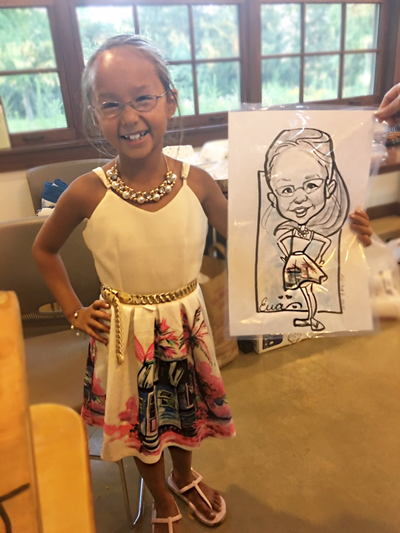 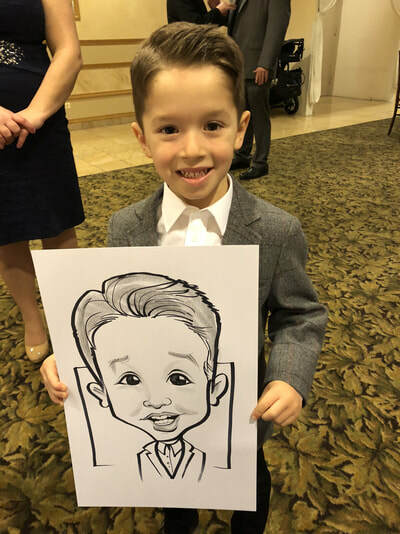 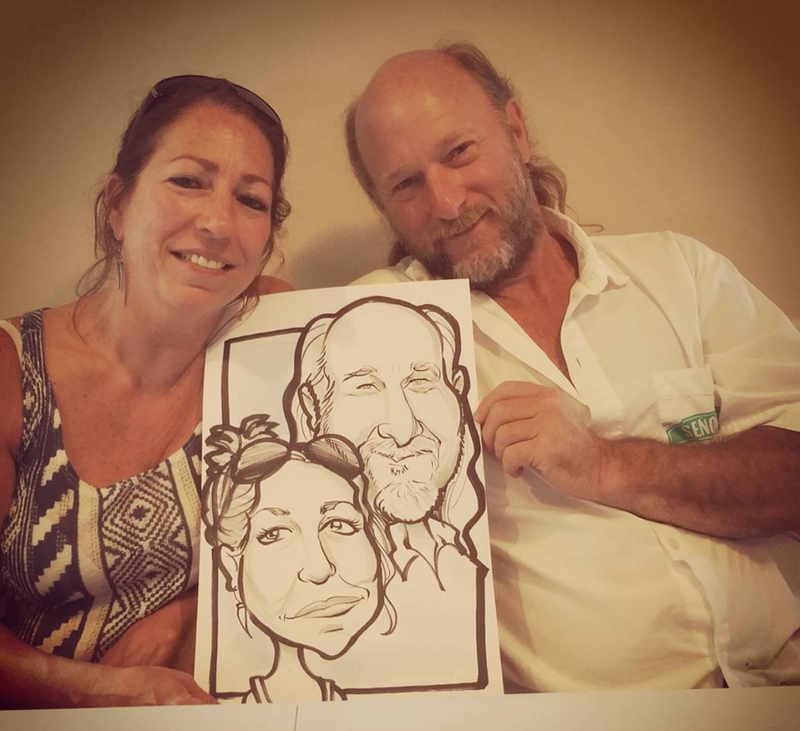 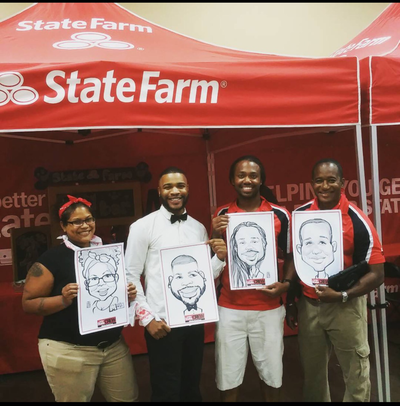 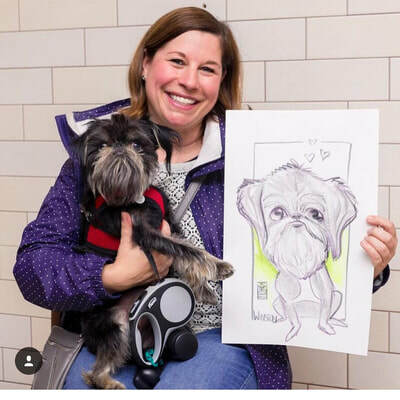 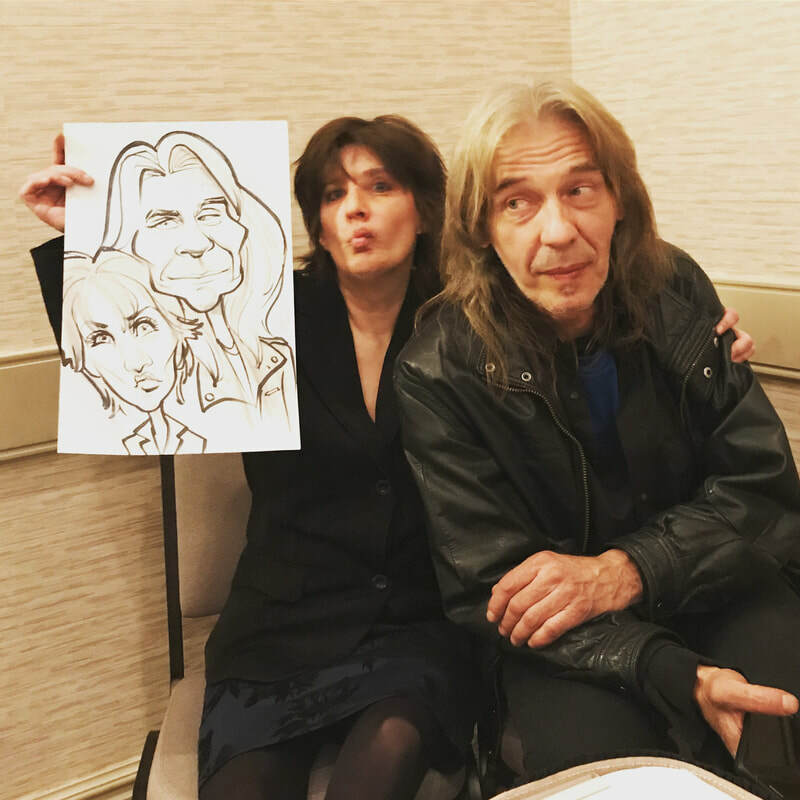 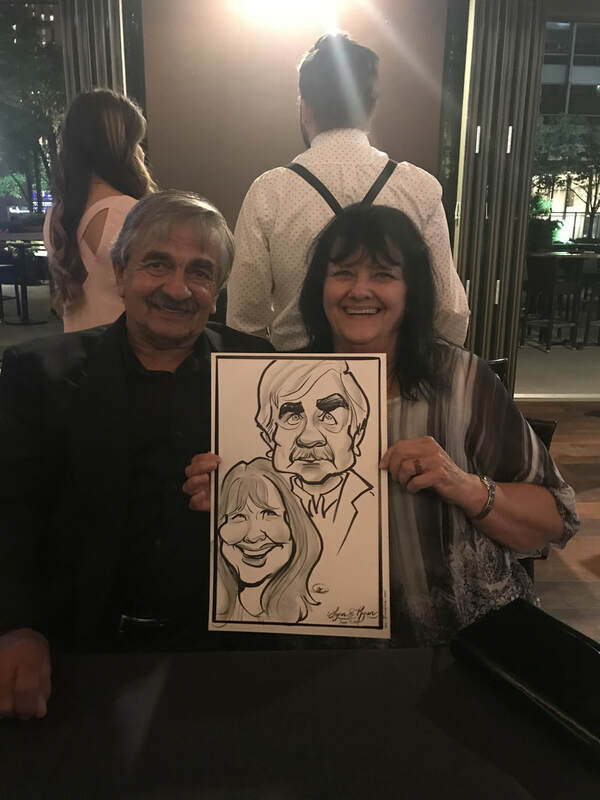 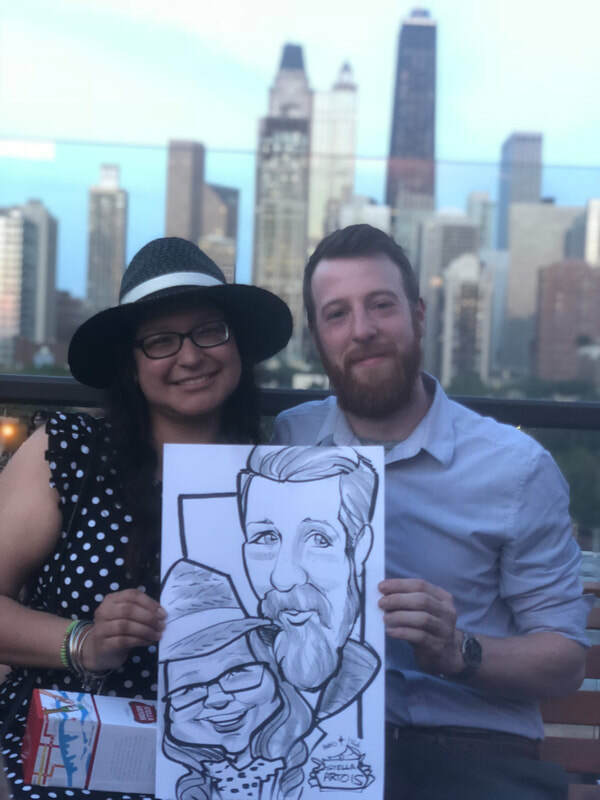 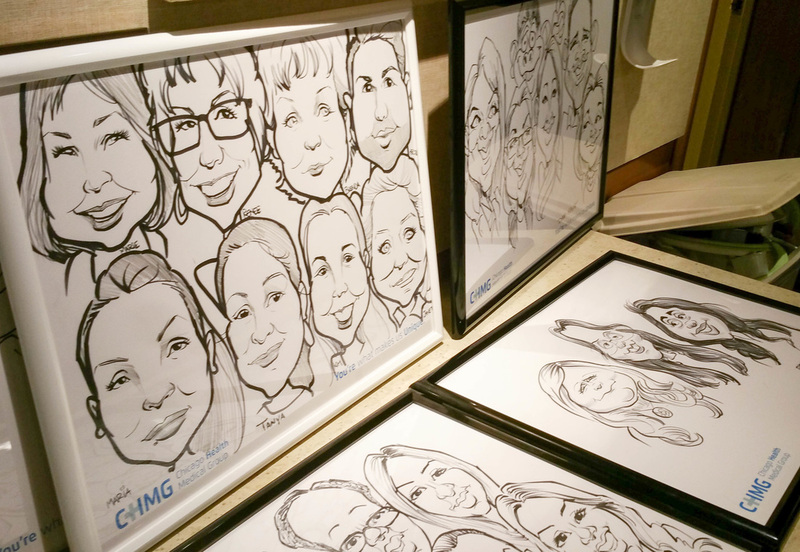 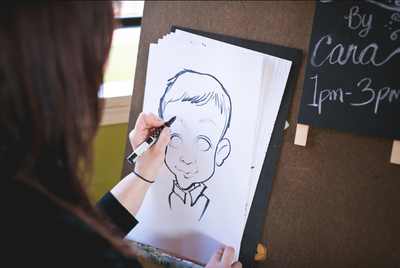 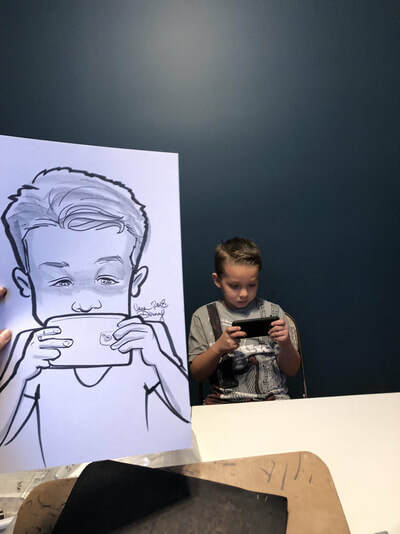 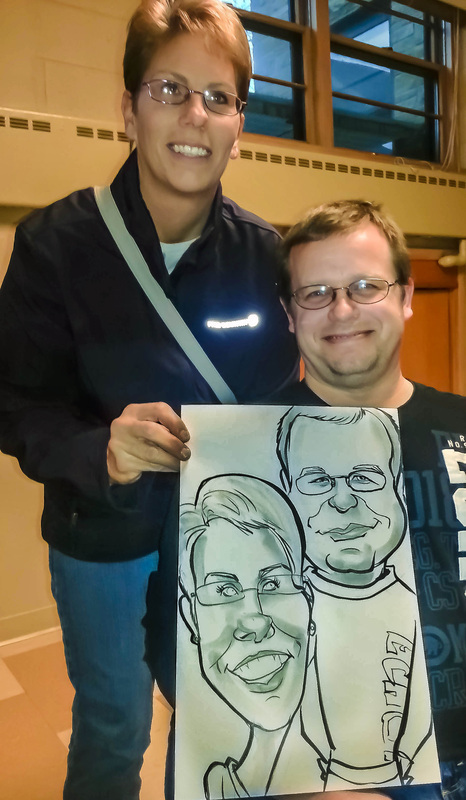 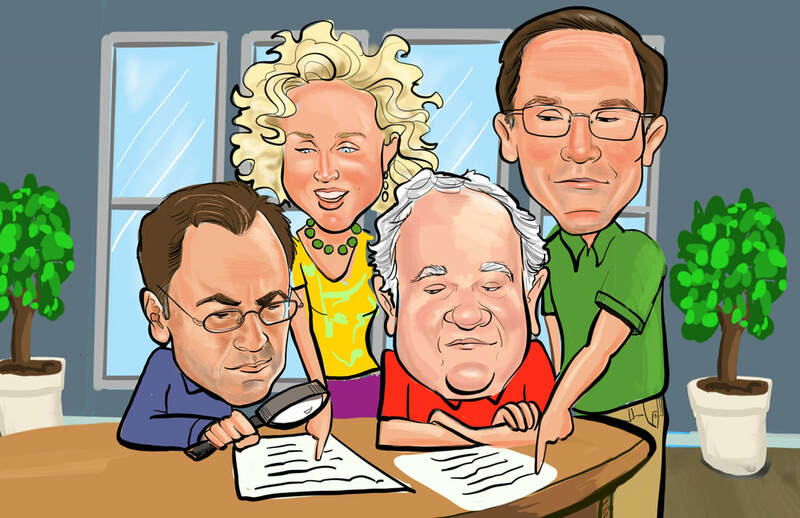 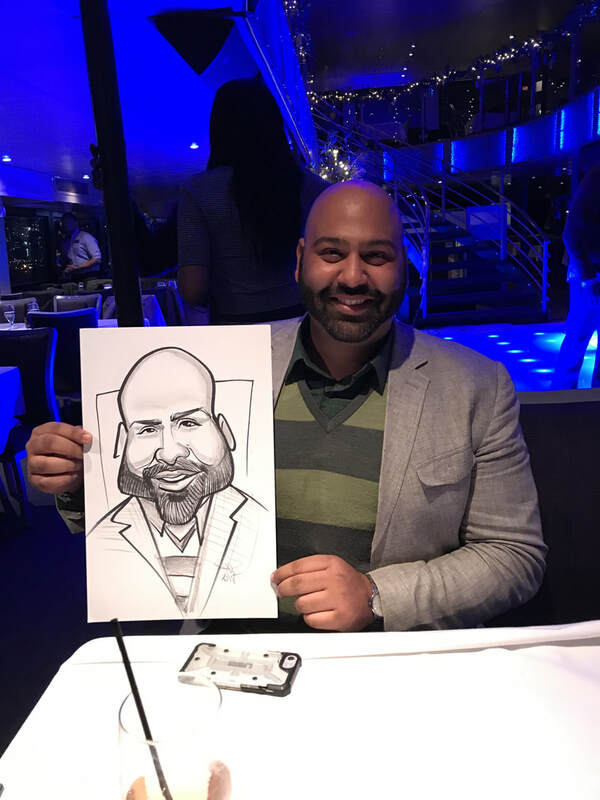 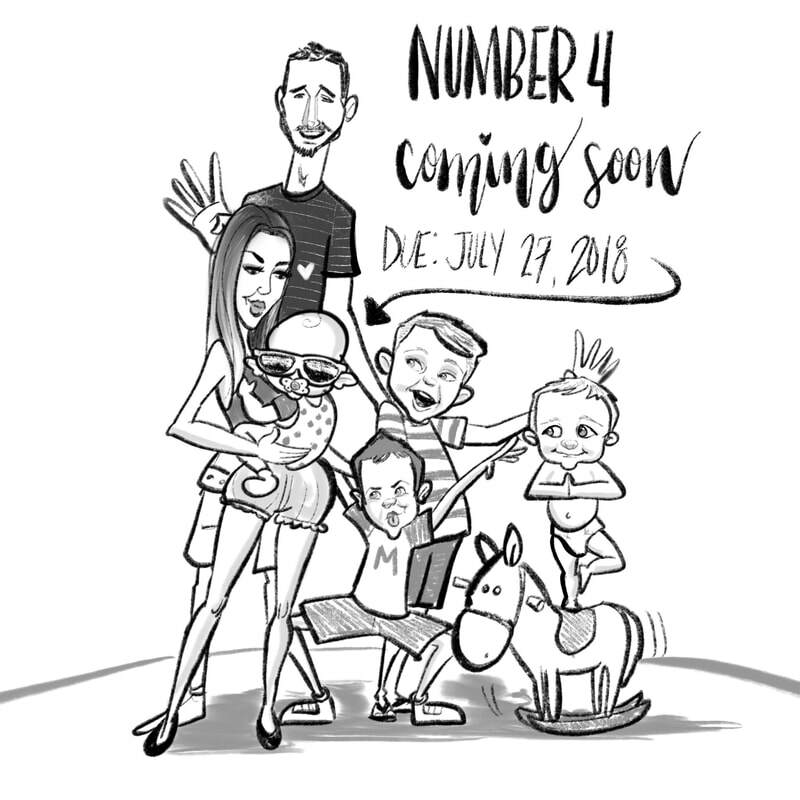 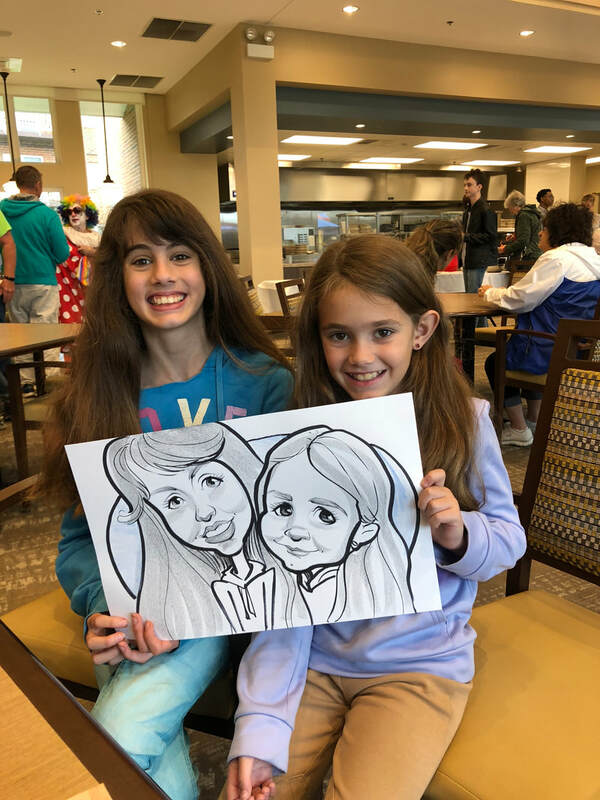 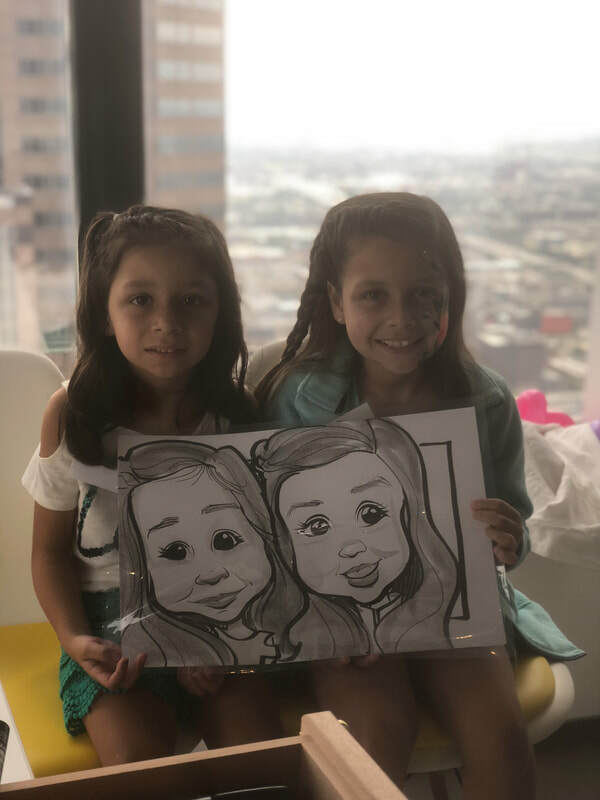 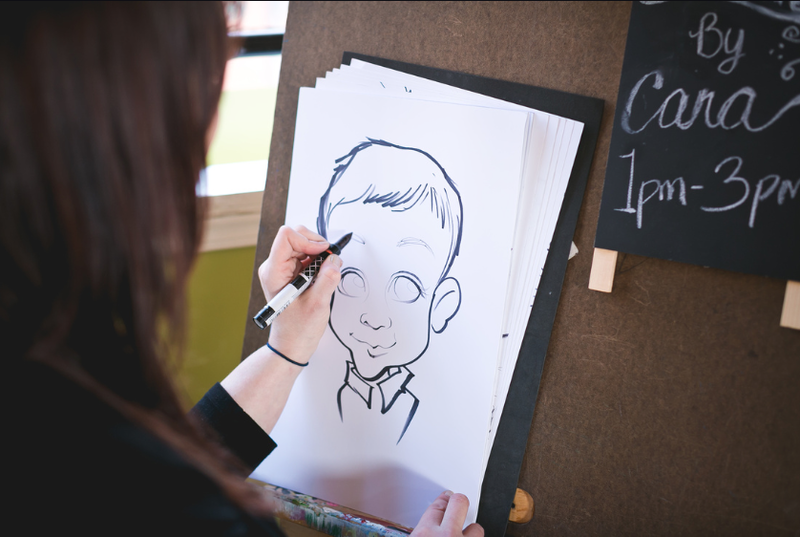 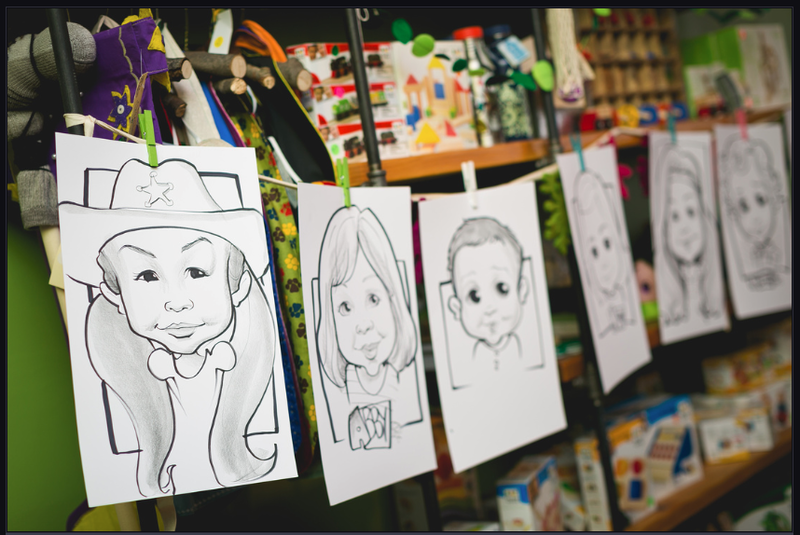 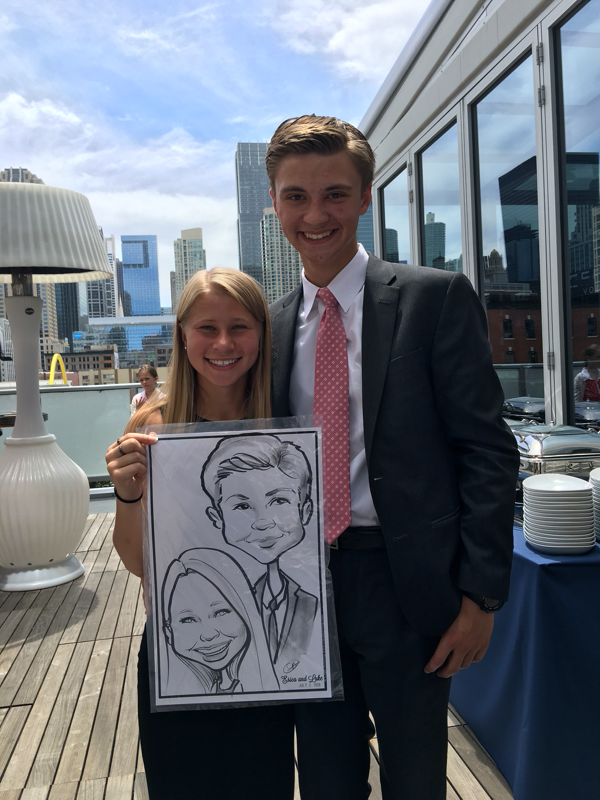 Live caricatures are done on-site by a talented artist who can capture likeness in a matter of moments. 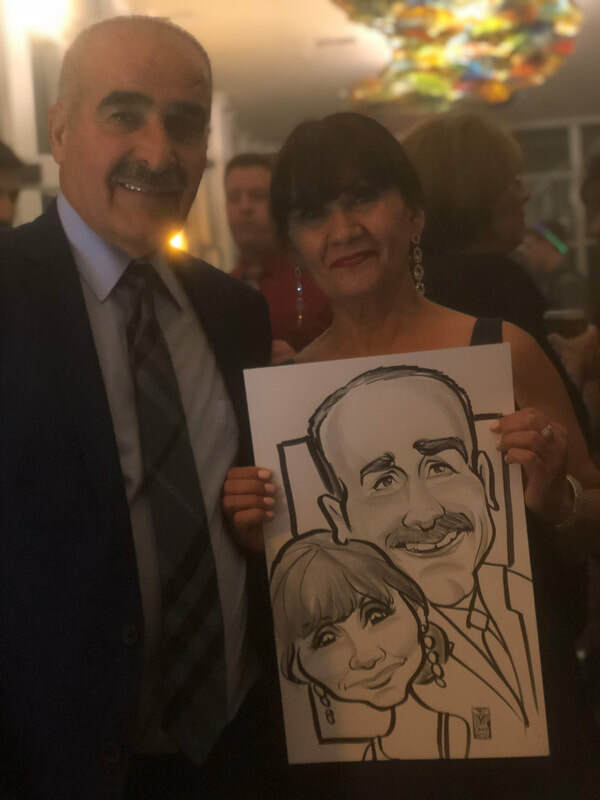 It is a great addition to any event (formal or casual) for its entertainment value as well as giving your guests something they will take home and frame. 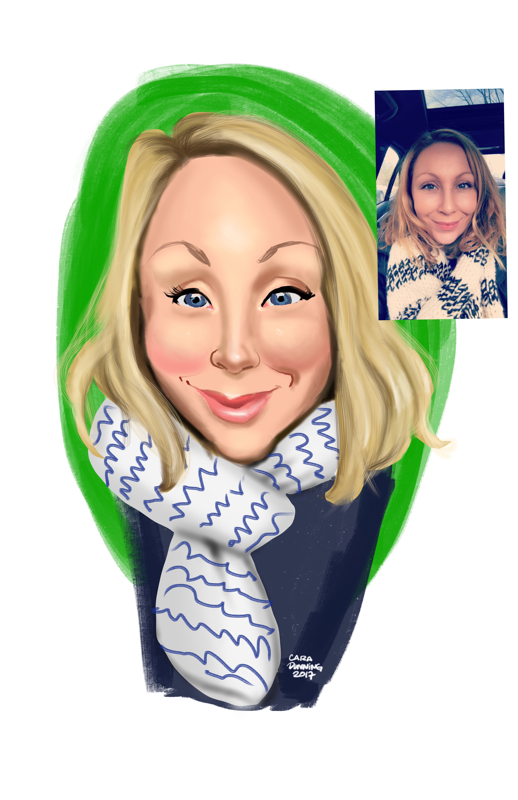 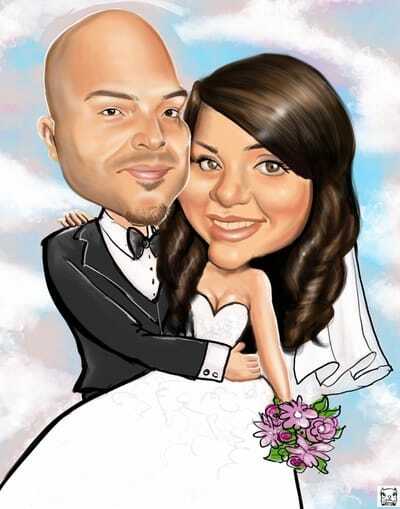 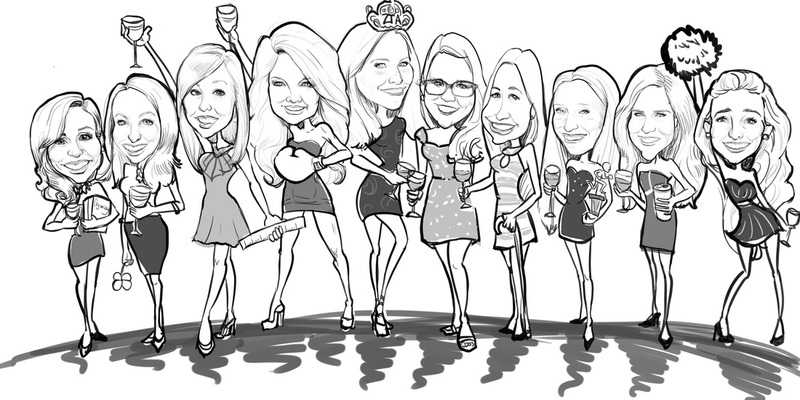 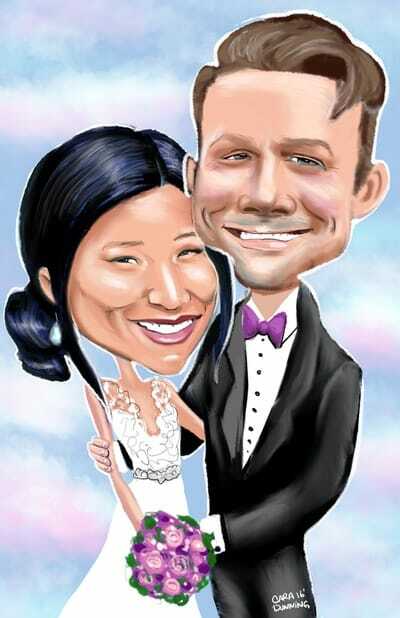 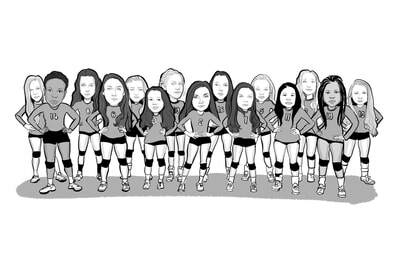 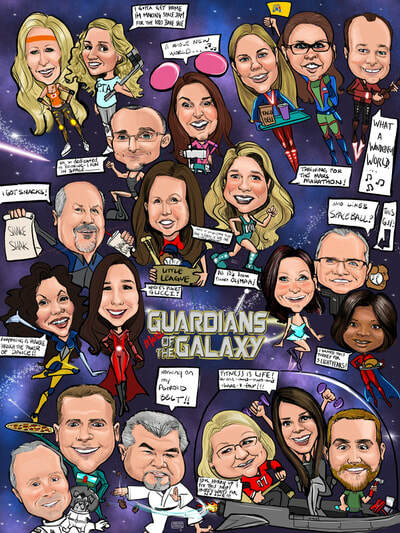 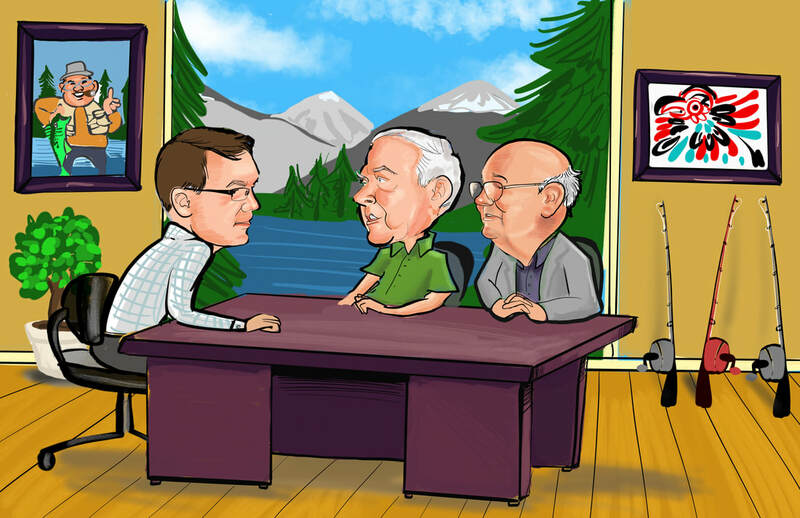 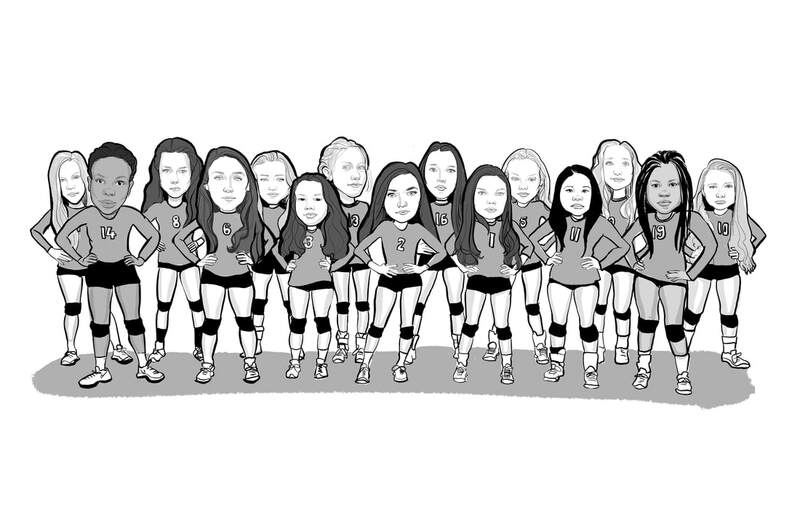 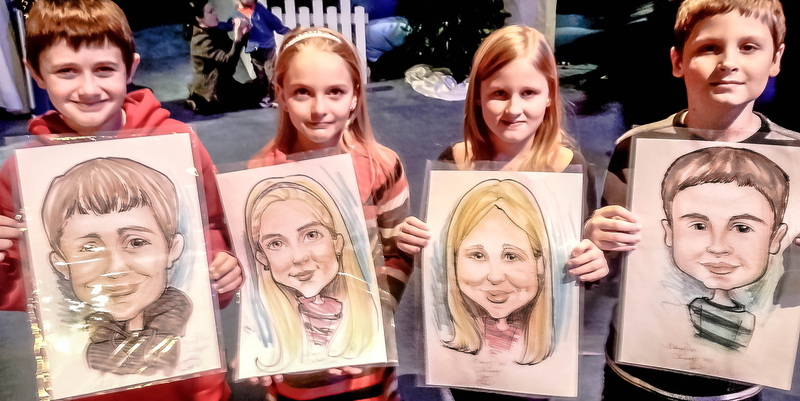 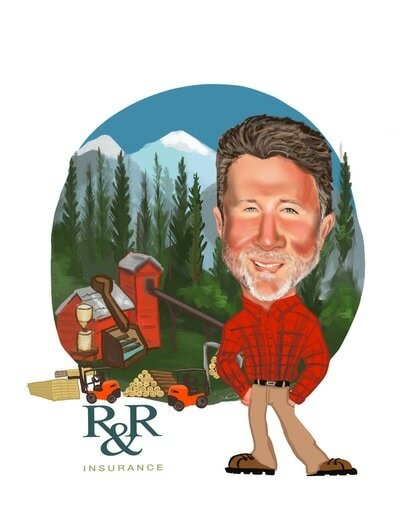 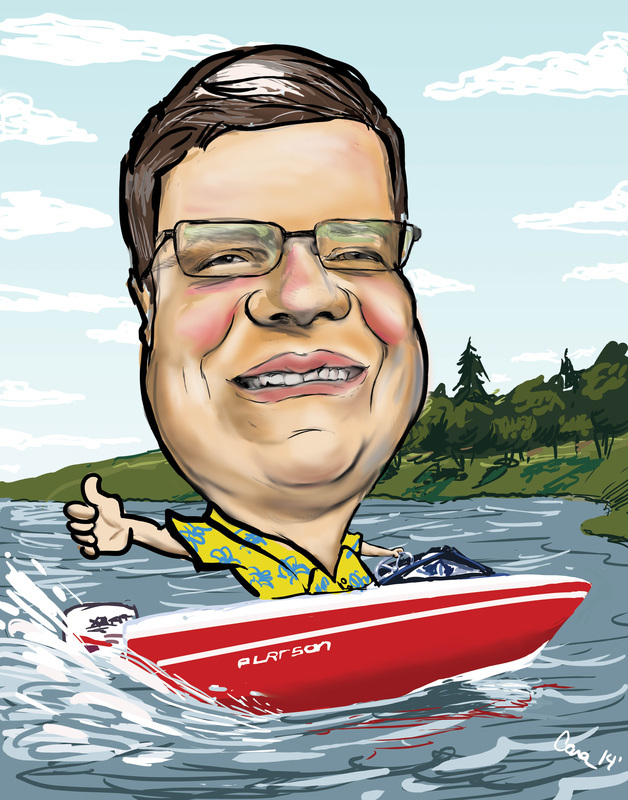 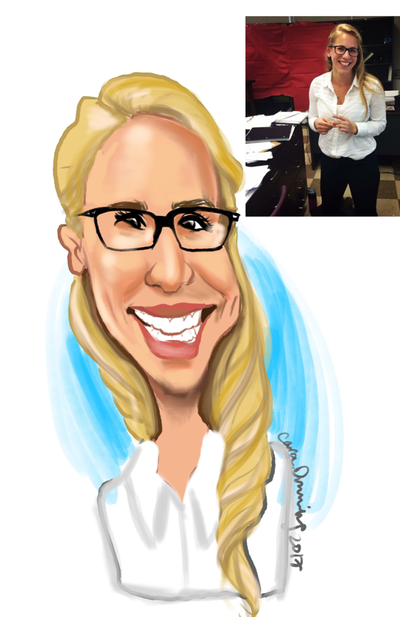 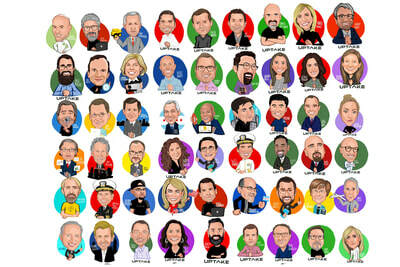 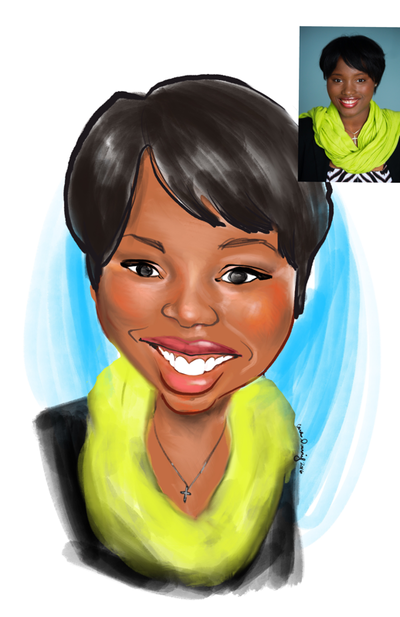 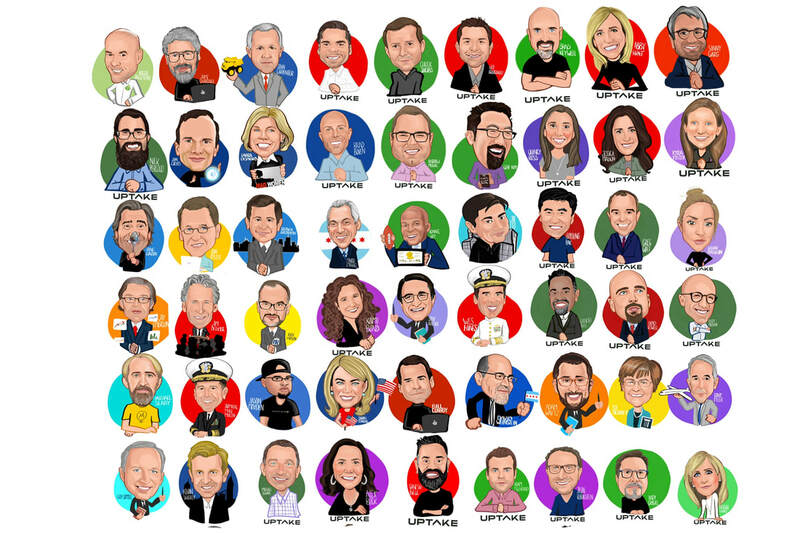 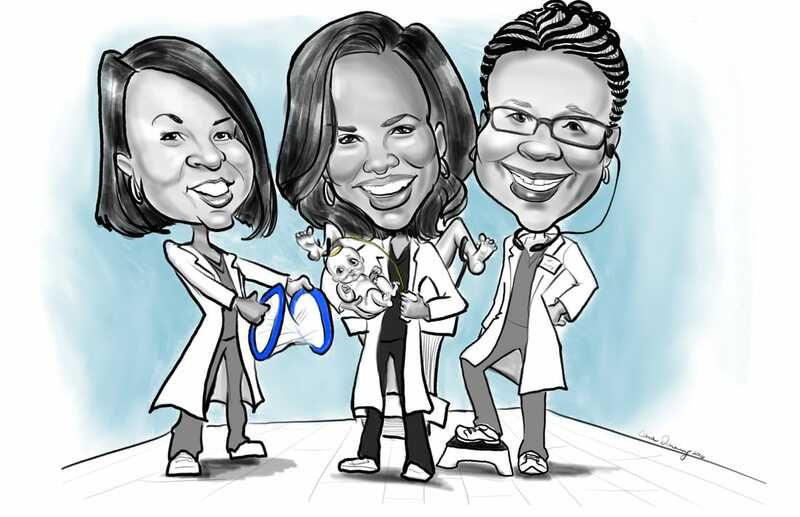 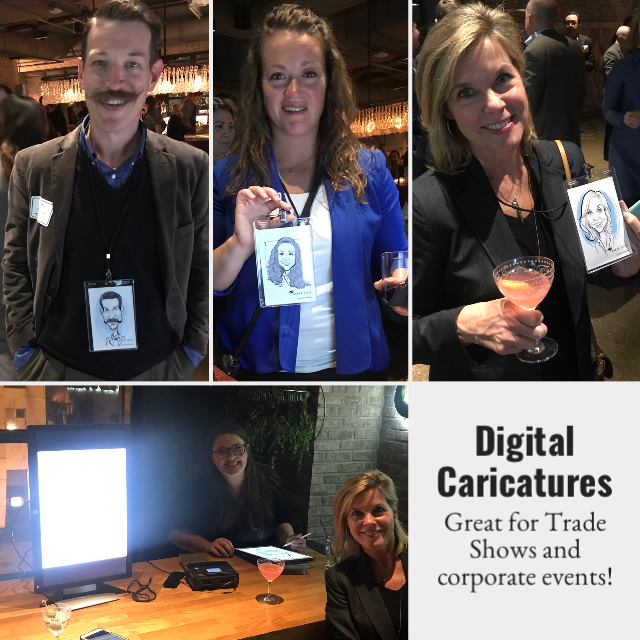 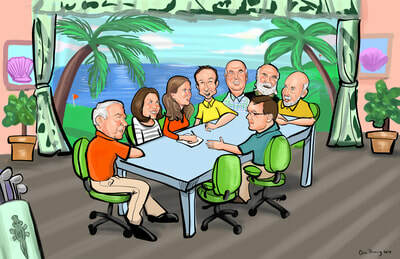 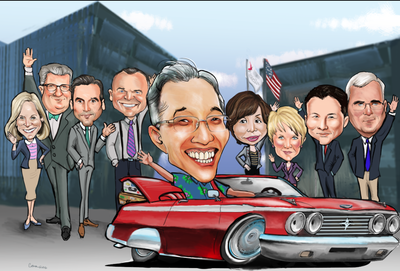 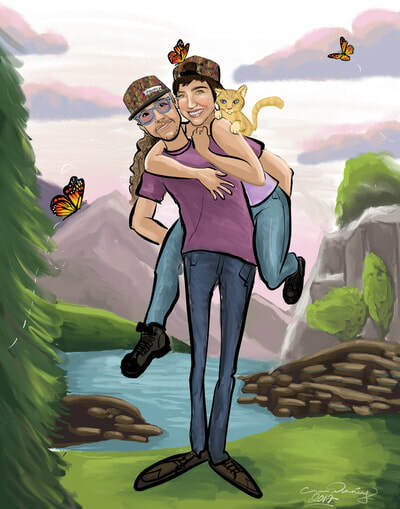 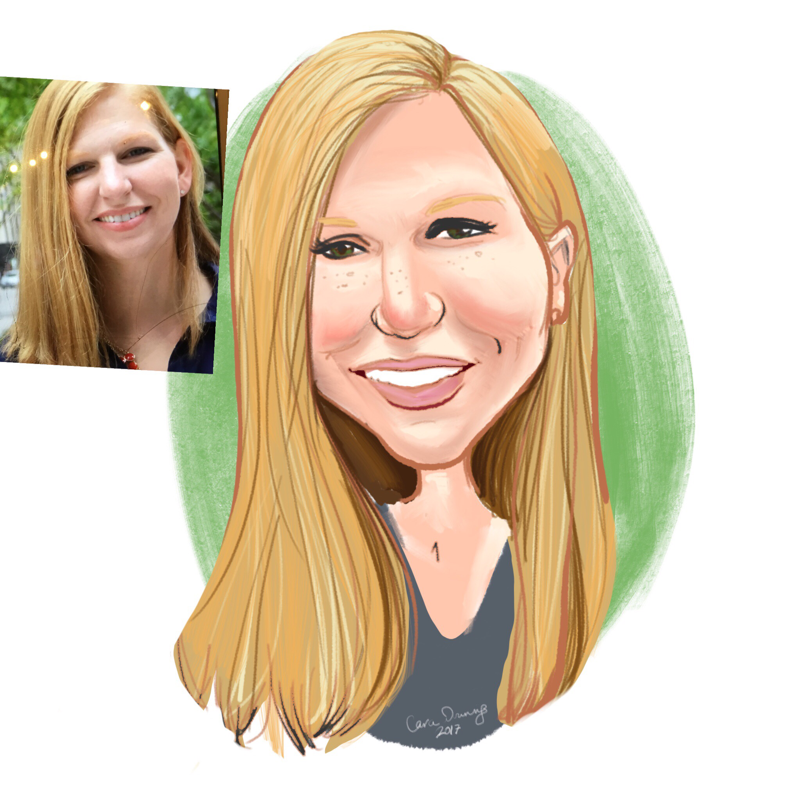 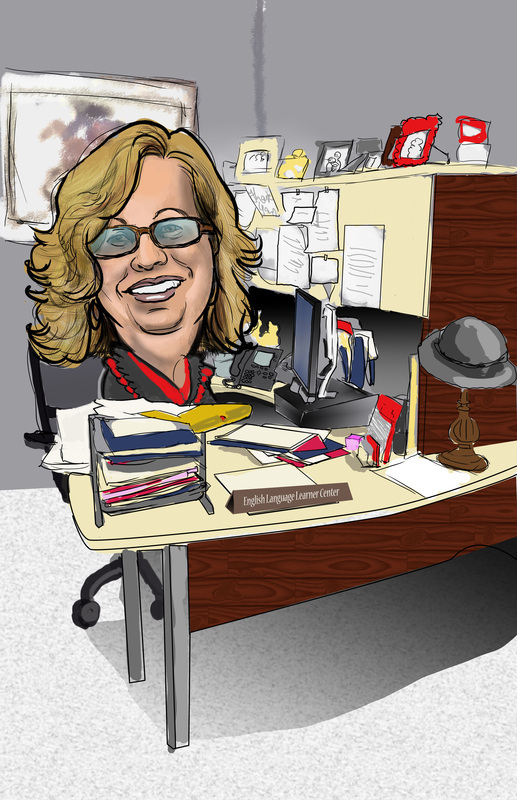 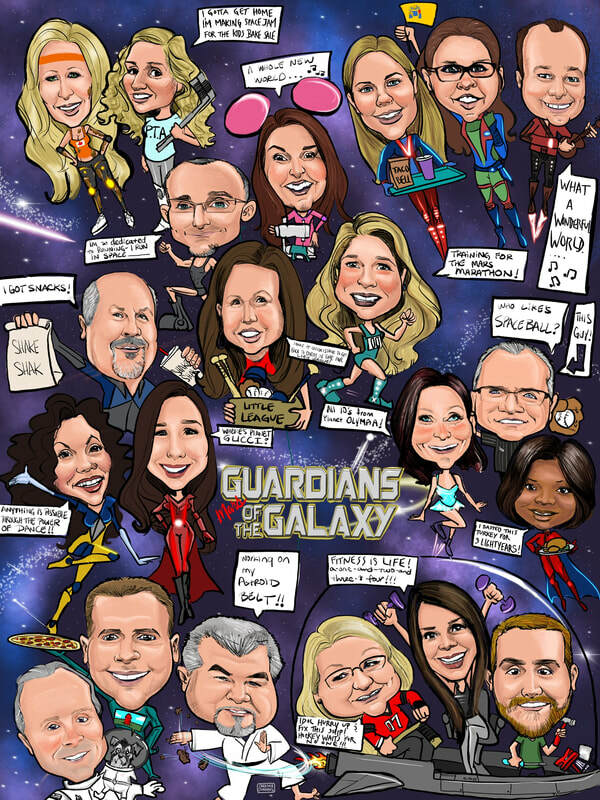 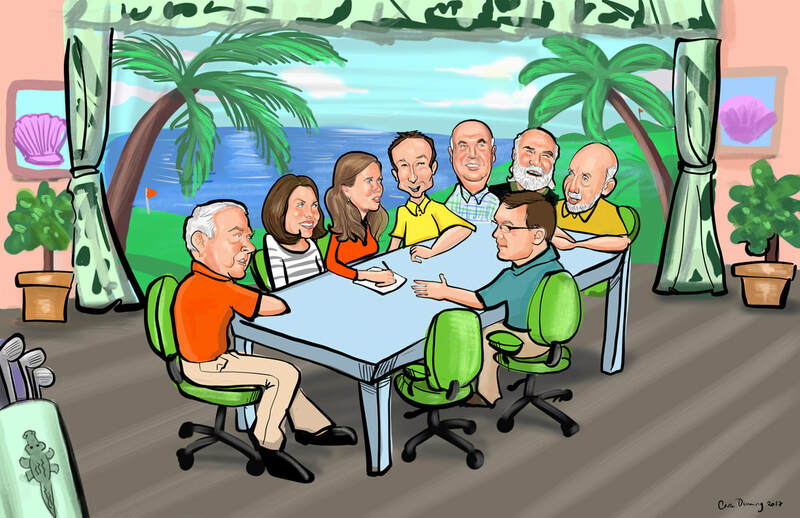 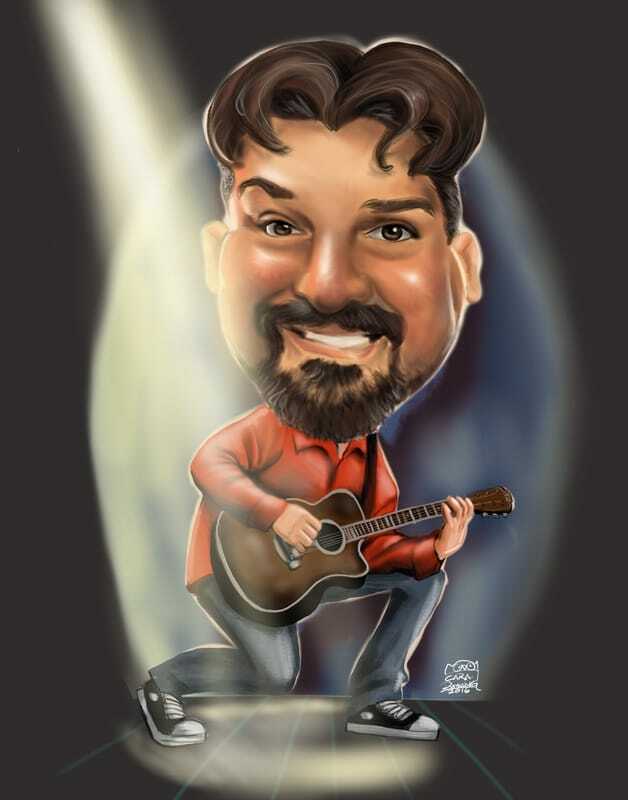 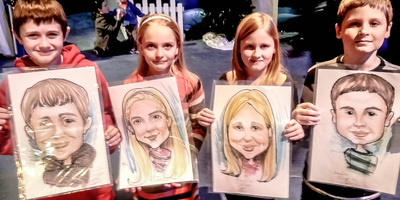 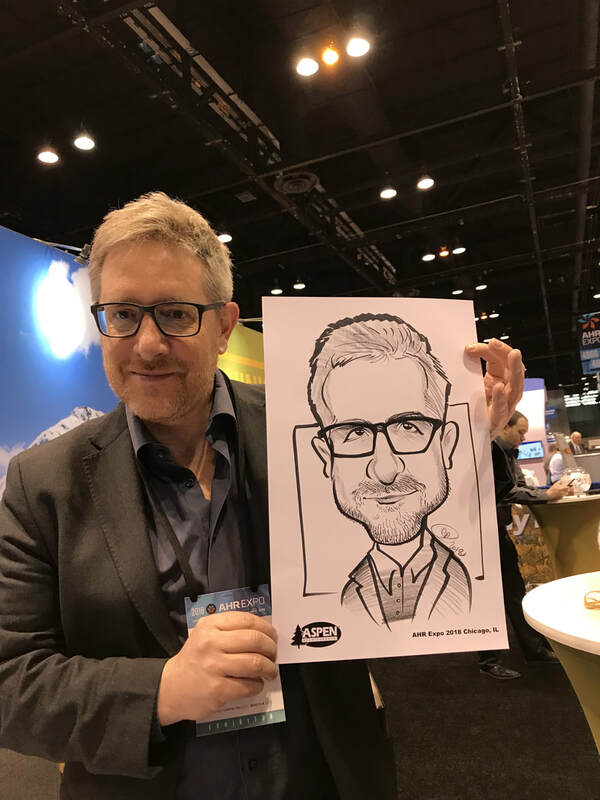 Digital Caricatures are great for Trade shows and conventions because they help drive traffic to your booth. 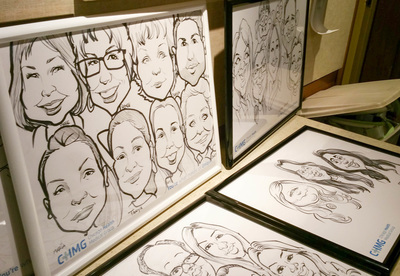 People gather around to watch the drawing come to life and then we print out a picture of them that they can take home or put in their lanyard. People love it!